Cognitive dysfunction has been reported in 20-80% of systemic lupus erythematosus (SLE) patients. Converging evidence has indicated the importance of vitamin D as a neuro-immuno-modulator for normal cognitive function. In this study, we evaluated the relationship between vitamin D, traditional neuropsychological and SLE-specific risk factors as predictors for cognitive dysfunction. Consecutive SLE patients who fulfilled ≥ 4 American College of Rheumatology 1997 revised classification criteria and healthy controls (HC) matched for age and gender were administered the Automated Neuropsychological Assessment Metrics (ANAM) to assess cognitive function in this cross-sectional study. The primary outcome was the mean total throughput score (TTS), defined as the total of the throughput scores for 8 ANAM subtests. Cognitive dysfunction was defined as a TTS < -1.5 SD of the HC mean. Anxiety and depression were measured using the Hospital Anxiety and Depression Scale (HADS). Levels of 25-hydroxyvitamin D [25(OH)D3 and total 25(OH)D] were measured using Liquid Chromatography-Tandem Mass Spectrometry. Vitamin D status was defined as deficiency < 10 ng/mL, insufficient 10 – 29 ng/mL and sufficient ≥ 30 ng/mL. Association between cognitive function and vitamin D levels or status was explored using linear regression models. In total, 61 SLE patients and 61 HC were studied. SLE patients had the following characteristics: 83.6% female; median age 36.0 (Q1; Q3 26.0; 48.5); SLE duration 6.0 years (Q1; Q3 0.0; 12.0); SELENA-SLEDAI 4.0 (Q1; Q3 2.0; 5.0)]. HADS-Anxiety, -Depression and -Total scores were significantly higher in SLE patients compared to HC [HADS-Anxiety: 8.0 (Q1; Q3 4.5; 9.0) versus 5.0 (Q1; Q3 2.5; 8.0), p = 0.001; HADS-Depression: 3.0 (Q1; Q3 2.0; 6.0) versus 2.0 (Q1; Q3 1.0; 3.0), p < 0.001; HADS-Total: 11.0 (Q1; Q3 7.5; 15.0) versus 7.0 (Q1; Q3 3.0; 10.5), p < 0.001]. After adjusting for age, education, gender, ethnicity and HADS-Total, SLE patients scored significantly lower than HC in 4 ANAM subtests [code substitution (learning) (p = 0.013), code substitution (immediate memory) (p = 0.012), code substitution (delayed memory) (p = 0.025), matching to sample (p = 0.026)] and in the TTS (p = 0.004). Cognitive dysfunction was identified in 21 (34.4%) SLE patients and 1 (1.6%) HC (p < 0.001). There were no statistically significant differences in 25(OH)D3 levels, total 25(OH)D levels and total 25(OH)D deficiency between SLE patients and HC. However, more SLE patients had 25(OH)D3 deficiency compared to HC [12 (19.7%) versus 2 (3.3%), p = 0.003] contributed by vitamin D2 supplementation [8 (13.1%) versus 0 (0.0%), p < 0.001]. Deficiency of 25(OH)D3 (β = -63.667, SE = 27.456, p = 0.025), but not the other vitamin D variables, independently predicted worse TTS after adjusting for age, education, gender, ethnicity, HADS-Total, duration of SLE, SELENA-SLEDAI and cumulative steroid dose in SLE patients. Age (β = -4.261, SE = 0.866, p < 0.001) was the only predictor of TTS after adjusting for education, gender, ethnicity, HADS-Total, vitamin D levels or status in HC. Deficiency of 25(OH)D3, a potentially modifiable risk factor, independently predicts cognitive impairment in SLE patients. Disclosure: S. H. Tay, None; A. Mak, None. Tay SH, Mak A. 25-Hydroxyvitamin D3 Deficiency Independently Predicts Cognitive Impairment in Patients with Systemic Lupus Erythematosus: Results from a Controlled Study [abstract]. Arthritis Rheumatol. 2015; 67 (suppl 10). 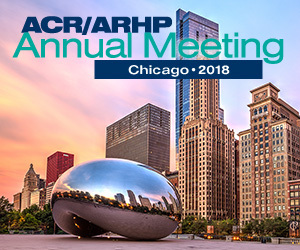 https://acrabstracts.org/abstract/25-hydroxyvitamin-d3-deficiency-independently-predicts-cognitive-impairment-in-patients-with-systemic-lupus-erythematosus-results-from-a-controlled-study/. Accessed April 21, 2019.